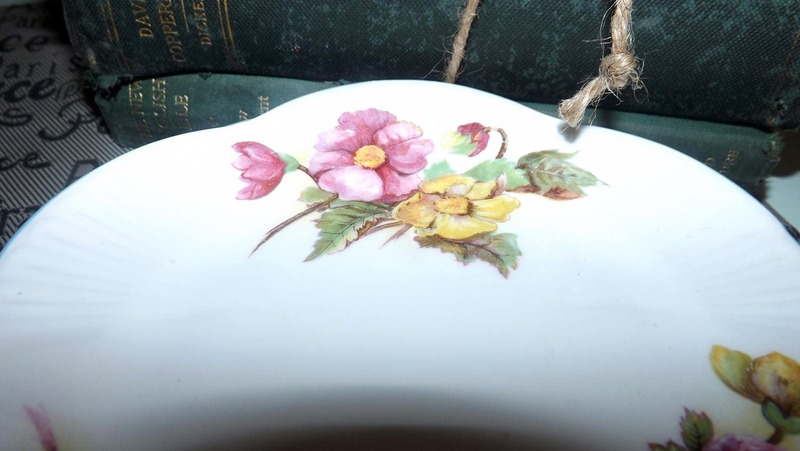 Early mid-century (1940s) Shelley Begonia hand-painted bread-and-butter | side plate. Blue edge, pink, yellow flowers, ribbed body. 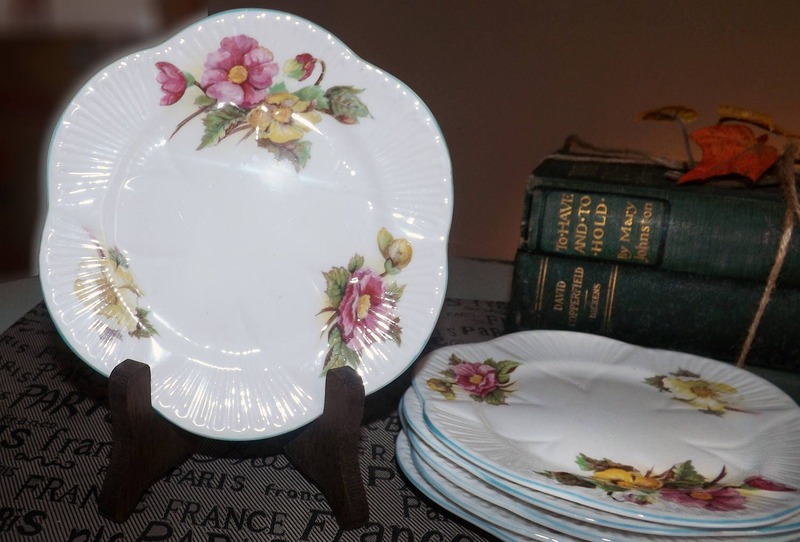 Early mid-century (1940s) Shelley Begonia pattern hand-painted bread-and-butter, dessert or side plate. 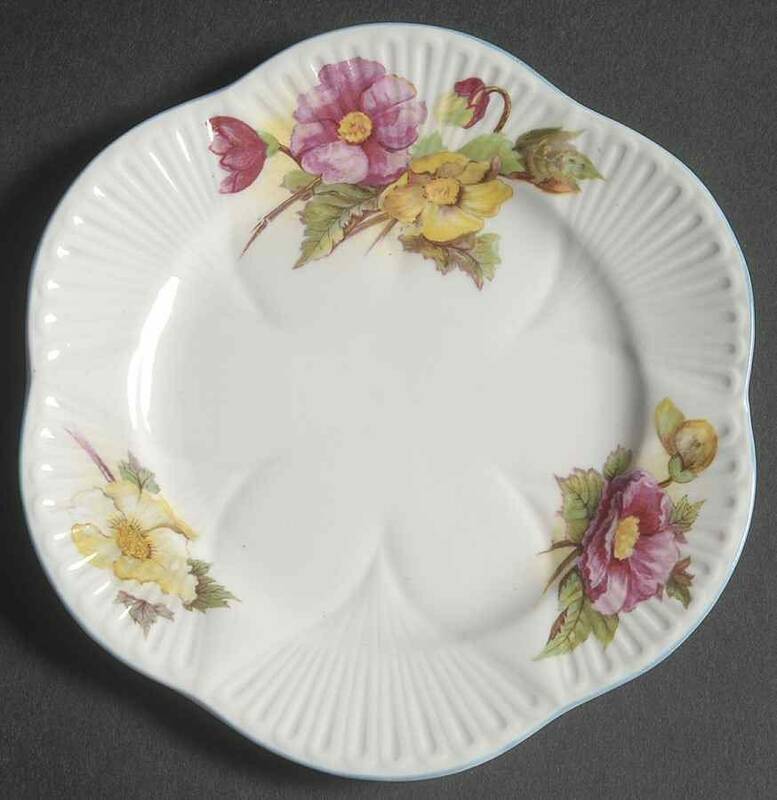 Begonia, as the pattern name suggests, features pink and yellow flowers of the same name with a light-blue, scalloped enamel edge and ribbed details. 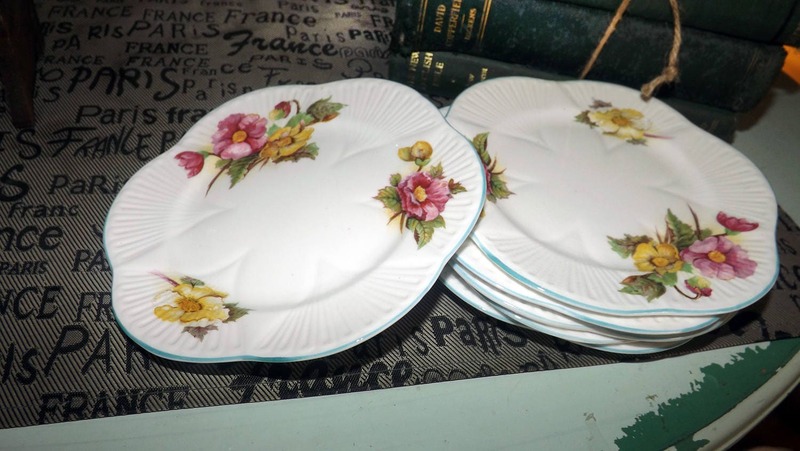 Plates are in the dainty shape. In EXCELLENT! vintage condition with NO! chips, nicks, cracks, or fleabites, NO! noted crazing, NO! 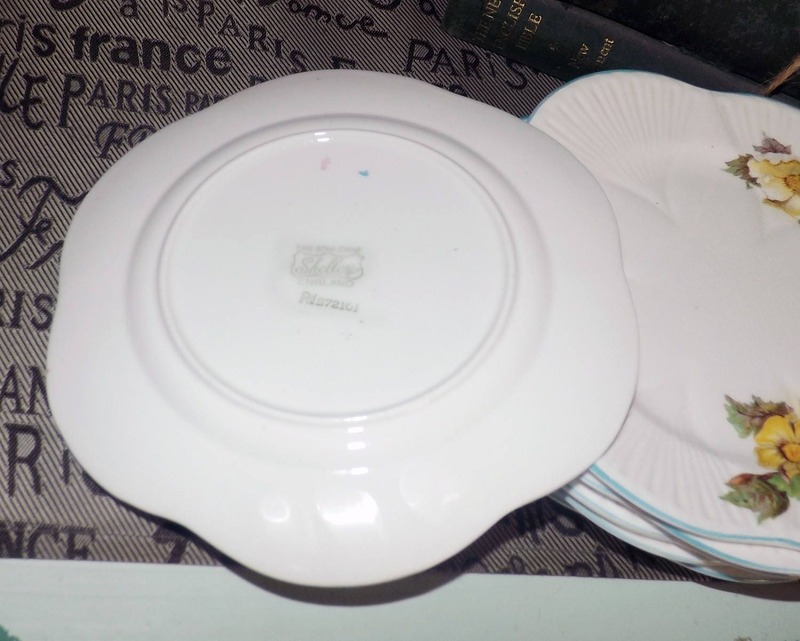 loss to the blue, scalloped edge and NO! marks, stains, scratches or other signs of use or wear. 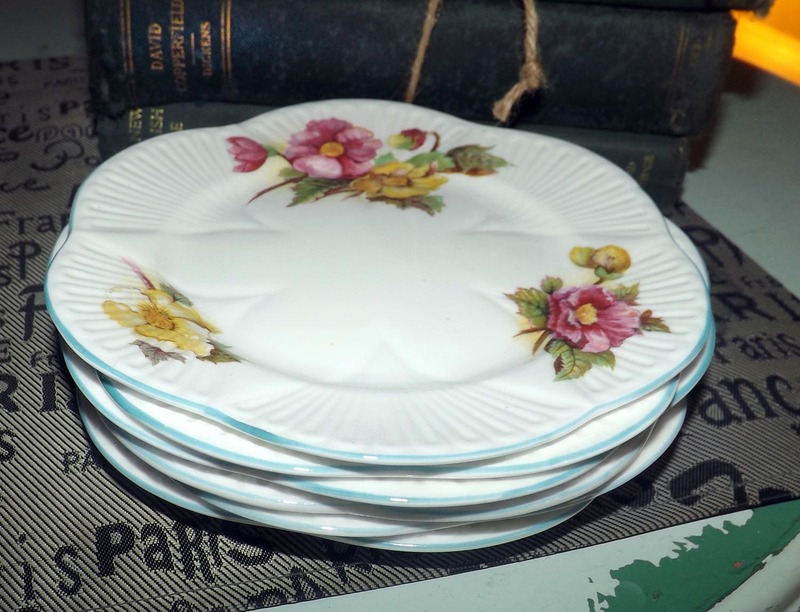 Approximate measurements: 6-1/4" in diameter with a scalloped, blue edge and ribbed details.